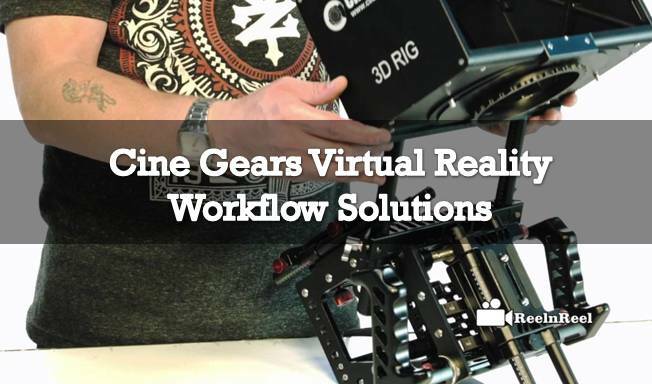 Cine Gears Inc Brings one of the most innovative, intuitive, and efficient solutions for virtual reality and 3D workflow to the professional film industry. Our system, from filming rigs to stitching software designed to optimise workflow for any virtual reality format. Including full stereoscopic 3D 360 degree virtual reality filming with live review; for the first time in the industry you can review your stereoscopic 3D 360 degrees virtual reality live, fully stitched with extreme precision and unnoticeable stitch lines. Capture your content with the fully modular, entirely customizable Hex filming rig. With the Hex and the Hex Mini-rigs, you can fully customise your camera and lens setup, camera positioning, and some cameras used. Capture 360 VR with as few as three cameras, or capture full stereoscopic 360-degree cinematic quality virtual reality with up to 14 cameras with the full sized Hex VR rig. These rigs are designed for the utmost in precision, giving you the perfect shot every time. Using StereoStitch software, review any format of virtual reality live as it captured. This software currently allows for live review of any VR format with high-quality automatic stitching, including stereoscopic 3D VR. Control the playback with a mouse, or switch it to full gyroscopic motion control with your headset. StereoStitch also provides post-production stitching solutions. Review your 3D, VR, and 3D VR footage either live on-set, in post-production, or anytime at all with the Cinegears VR3D Player virtual reality HMD. The days of using a cell phone to view VR are over, with our fully self-contained virtual reality headset. Stream live stitched VR straight to the player for immediate review, load saved stitched files onto the device’s internal storage for later analysis, or even stream content via the built-in wifi and Bluetooth. Here at Cine Gears Inc., we strive to be a driving force behind the future of Virtual Reality production. The workflow solutions mentioned here are not our complete array of virtual reality equipment. We would be happy to discuss the stuff discussed here as well as any of our other gear at any time!